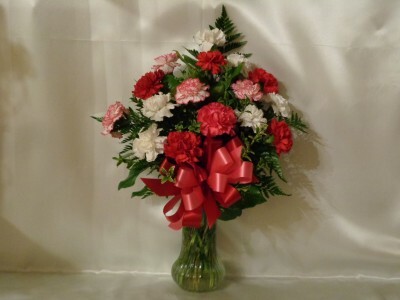 **FOR LOCAL DELIVERY ONLY (Jon Anthony Florist custom item)** Colors and vase may vary. This spring arrangement fills a dainty purple basket with lavender carnations, mini spray roses, lavender daisy poms. 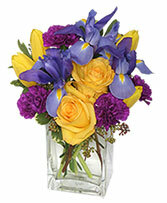 Order online and make sending flowers easy! Take the traditional bouquet of roses to the next level with this arrangement! 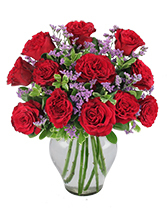 Succulent red roses are highlighted with delicate purple wax flower for a new twist on an old favorite. Show her you mean forever with these flowers. Order online or call us today! Show your Appreciation with Fashionable Flowers from Jon Anthony Florist. It's a Great Way to Honor Someone that Inspires and Motivates You to Be the BEST!